You may be asking, how do I Re-Print my Jamb slip for Jamb 2017 so as to see my exam center and date? I will show you the golden steps to re-print JAMB 2017 slip without mistakes. You should know that you can now reprint JAMB slip any day you want between 8th and 13th of May 2017. 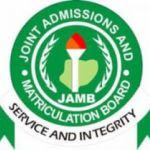 Candidates who re-printed on the indicated day by Jamb could not get their center, this is as a result of shift in exam date and registration deadline. 2. Login to your Jamb Profile by entering your email and Password. 3. You should look at the right corner of the page; there is a bold, green heading with words ‘Re-Print Your Slip’. Then click on it. 3. You should write your JAMB registration number in the provided space and then click ‘Re-Print’. 4. You will get the information of your exact date of the exam you’ve received; time and also venue will appear on the slip now. 5. You should now click to reprint the JAMB slip via your printer or just press ‘ctrl’ and then ‘P’ on your keyboard.